In this tutorial you are going to learn how to create a dental website design using the very easy to use WebDirector site. First you need to visit the site “www.webdirector.com” and click the “Get a free preview” button. You can go right ahead and purchase but the free preview is a good place to begin. 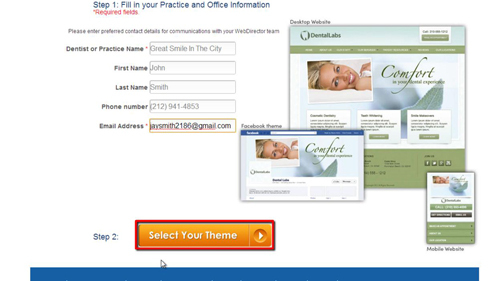 You will then need to enter some details about your dental practice as well as yourself. When you are done click “Select your theme”. A new page will load and this process can take some time. 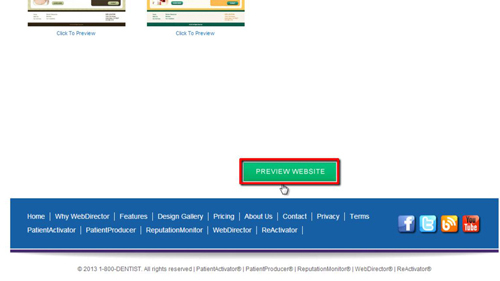 You can then select a theme for your website and when you have done this scroll all the way down the page and click the “Preview Website” button. A new site will load and you will be shown a preview of the site that WebDirector could create for you. You can explore this website to get an idea of whether it is something that you want to purchase. 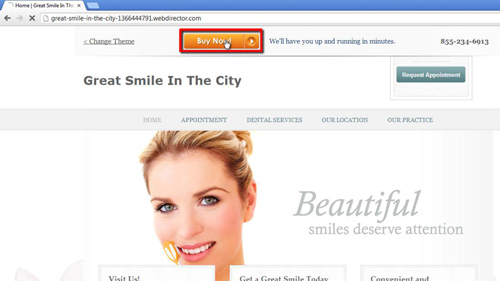 If you do decide to purchase this dental website design you can simply click the “Buy now!” button at the top of the page. This will direct you to a page where you can enter your account details and pay for the service – when you have done this simply click “Purchase”. We are not going to actually do this here as this is just a tutorial, but that is how to design dental website using WebDirector.